Fast energy gel with 150mg added caffeine to provide a mental and physical boost. Espresso flavored energy gel with double caffeine in easy to open packaging, perfect for when you need a boost. Caffeine has been repeatedly shown to improve performance by lowering your perception of effort by providing a boost just when you need it. 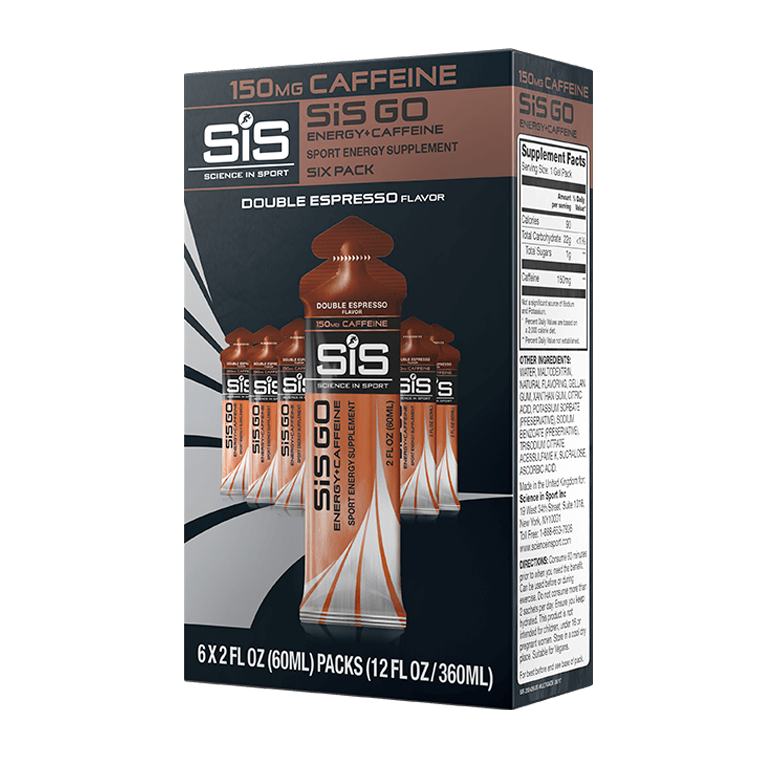 GO Energy+Caffeine 150mg in double espresso flavor provides a high dose of caffeine for high intensity races and long, tough days on the road. When pushing yourself hard, your brain controls how fatigued you feel. Caffeine acts as a stimulant on the brain to lower your perception of effort, allowing you to keep pushing and maybe stretch yourself a little further. It can take 30-60 minutes after consumption for caffeine levels to peak in the blood, so if you are doing a short duration event (less than 60 minutes) you should take it before you start. If you are doing a much longer event, such as a marathon, 100 mile sportive, or half-ironman triathlon or longer, you should save your caffeine intake for the last two hours when your fatigue level is likely to catch up with you. 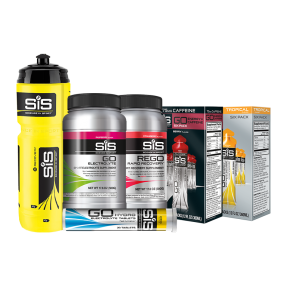 Consume 1 gel 1 hour before exercise for high intensity, short duration events to ensure the body starts with elevated caffeine levels. In longer duration events consume no more than 2 gels per day. Ensure you keep hydrated. This product is not intended for children, under 16's or pregnant women. 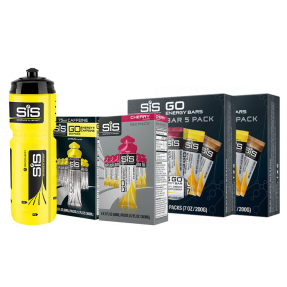 Where hydration is important, GO Energy + Caffeine Gel 150mg can also be consumed with GO Hydro or GO Electrolyte to ensure a combination of energy, caffeine and fluid delivery during exercise. 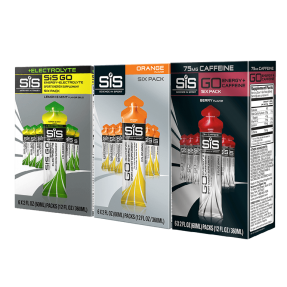 We don't recommend that you consume more than 2x 150mg caffeine gels per day. 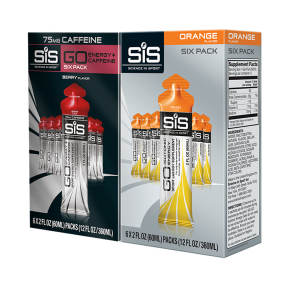 When is the best time to consume the SiS GO Energy + caffeine Gel 150mg? Have 1 gel 60 minutes before short, intense exercise to provide mental stimulation for the race ahead. Have 1 gel towards the end of long, endurance exercise to delay fatigue. When should I have this over the 75mg caffeine gel? This gel contains a high dose of caffeine and should be consumed by individuals who use caffeine regularly to boost mental performance. Caffeine has been shown to increase endurance performance by providing a mental boost, improving alertness and concentration. 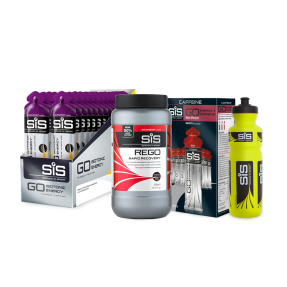 The SiS GO Energy + Caffeine gel 150mg is not isotonic, as the added caffeine increases the concentration of the gel. 150mg of caffeine is the equivalent to two cups of coffee or 1-2 cans of energy drink. However, individuals tolerate caffeine consumption differently to others, so make sure you try it out in training, before using in competition. The espresso gel is great during and after a long ride. During the ride when I'm craving coffee I just go to the espresso gel and I'm satisfied. Love these for using during the latter part of a long training event or race when it feels like I am fading a bit. Really turbocharges the system. 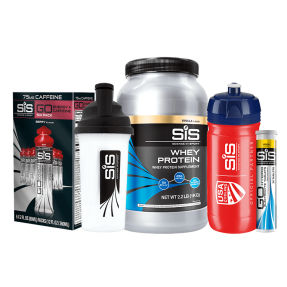 I also use these for my early morning (4:00 am) training events, running, cycling, swimming. Upset my stomach a tad the first time I used this gel before a workout. Once I gave myself a little bit more time for it to settle, it worked great! I love having the extra caffeine boost at the start of a workout. I love the coffee taste and it’s energy booster effect. The item did finally arrive. Thanks. Love the double caffeine, really get ya goin! The coffee flavor is the best! I really like the consistency of these gels. Much easier to eat on the run than gu gels. The espresso has a very strong coffee flavor, which was a little too strong for me, but others may like that. Great taste! Don’t like artificial sugars. Excellent delivery of energy and power and no crash or jitters. This is like Rocket Fuel! When you need a boost take a serving of espresso and you'll feel it kick in! Didn't like the initial flavoring, but reaped the energy benefits! 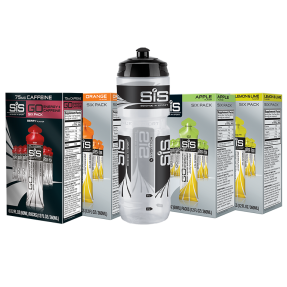 Foul tasting flavor, sloppy and messy when opening and consuming while riding on bike, need to follow with water to get rid of after taste. I'll stick with my favorite GU gel Espresso Love which seems just as effective and much easier to open and consume with out mess. After using two packages I'm done with this and have been giving them to friends to sample. No one has asked for a second sample. great taste, great consistency. Don't feel like I need to down half a bottle after eating a gel. Used 10+ gels now on 2-4 hour rides and have encounter zero GI issues.